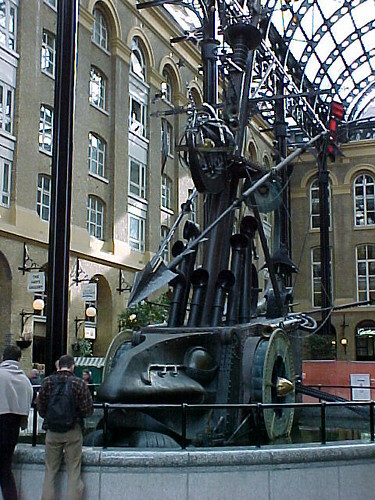 London : The Navigators by David Kemp, Hay's Galleria, a photo by Craig Grobler on Flickr. 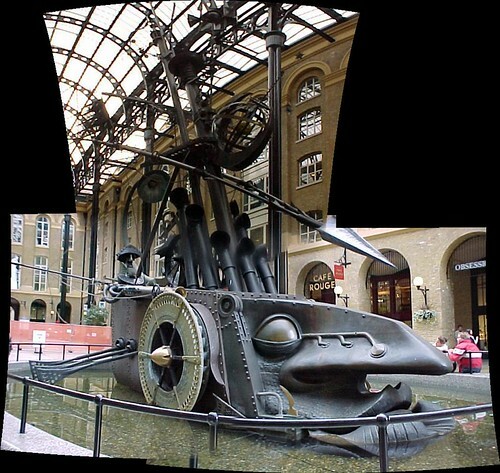 The Navigators are high but not dry in a pond in a galleria that was once a wharf in the pool of London. This large sculpture represents the ships, the monsters and the men that drove them, and is animated by a bizarre collection of moving parts, pumps and water features.